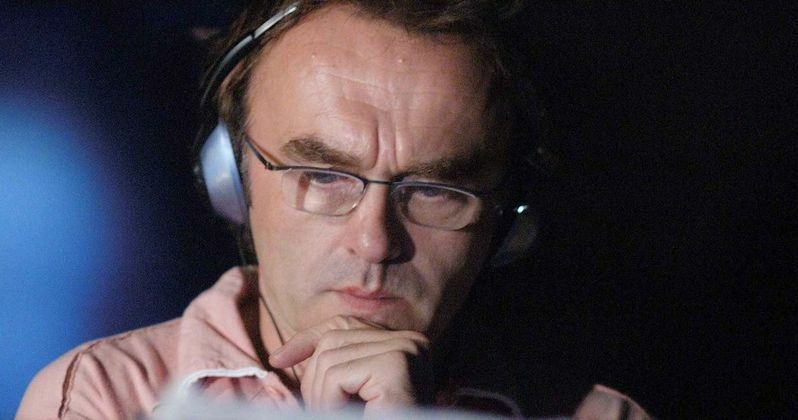 Could Danny Boyle be the next director to helm a James Bond movie? That's starting to look like a very serious possibility. Things have been quiet on the James Bond 25 front lately, at least in terms of official news, but MGM and Eon Productions are going to have to decide on a director in the relatively near future, as the movie is scheduled for release next year. While several names have popped up in the past, a new one has been added to the mix in the form of Slumdog Millionaire and Trainspotting director Danny Boyle. According to a new report, MGM and Eon, who control the James Bond franchise, have their sights set on Danny Boyle, who most recently directed Trainspotting 2. It's also said that Boyle has wanted to direct a Bond movie for a long time and what's more is that his schedule seems to be clear enough for him to actually do James Bond 25. He's currently developing a project for Working Title, but it hasn't been formally announced and there's no cast attached. So that could conceivably be pushed back, should he wind up scoring this gig. We previously reported that a shortlist of names that the studio was interested in included David Mackenzie (Hell or High Water), Denis Villeneuve (Blade Runner 2049) and Yann Demange (White Boy Rick). Villeneuve has taken himself out of the running, so that leaves Mackenzie and Demange. As far as we know, Mackenzie may not be totally out of the running, but it's said in this new report that Demange was the studio's top choice for James Bond 25. However, they've decided to make a final push to find a more experienced director for the job. Danny Boyle certainly seems to fit that description. While Danny Boyle may not have a resume that speaks directly to doing a James Bond movie, he's certainly an accomplished filmmaker. Slumdog Millionaire won Best Picture at the Academy Awards and earned him a Best Director Oscar. He's also directed other well-respected, award-worthy features such as Steve Jobs and 127 Hours. There's also gems like 28 Days Later, which is importance since he worked with Naomie Harris on that movie, who plays Moneypenny in the current Bond movies. So there's at least a bit of connective tissue there. And Christopher Nolan, even though it always seemed like a long shot, recently took himself out of the running. So Boyle seems like an unexpected choice maybe, but one that makes a lot of sense from a studio perspective. Sam Mendes, who directed Skyfall and Spectre to great financial success, announced that he wasn't returning for the next installment back in May of 2016, so the movie was always going to need some fresh blood in the director's chair. Daniel Craig, after a long game of back and forth, finally signed on to make James Bond 25 his final movie as the iconic MI6 spy late last year. Beyond that, we know that Neal Purvis and Robert Wade, who have worked on the last six movies in the franchise, are once again writing the screenplay. Christoph Waltz has also said that he won't be back as Blofeld this time around. James Bond 25 is set to hit theaters on November 9, 2019. This news was first reported by Variety.